The prolonged oil price shock with its attendant spill-over effects in the banking sector has continued to manifest in various forms in the banking industry. Banks already have to contend with a lower yield environment and pressures on fee income lines; which have started to manifest in declared financial statements for the first six months of 2016. With it comes the never say die spirit of some players in the industry, which has seen many girding their loins and re-strategising their business focus for the journey ahead. Already, a number of players are exploring different forms of capital raising projects exercises, both locally and from offshore to boost liquidity and their operations with a view to strengthening their retail and commercial segments. Inevitably, with retail strategy, which is premised on reaching the mass clientele base and mobilising cheap funds, attention has returned to the customer as banks look to overcome the shock that trailed the withdrawal of public funds following the federal government’s implementation of the treasury single account (TSA) policy. From technology to customer expectations, the market has changed considerably in the five years since the global financial crisis and will continue to evolve in the years to come. To succeed in this environment, banks must enhance their existing business models. For Heritage Bank Plc, as part of efforts to enhance its financial intermediation mandate, the bank recently secured funding support from African Export Import Bank (Afreximbank) to the tune of $150 million. The fund was also for the bank to explore development opportunities. According to the Divisional Head, Corporate Communications of the bank, Olusola Longe-Okenimkpe, the lender “executed the term sheet for the issuance of guarantee for its $150 million Convertible Bond with the Afreximbank to support its next phase of growth. Afreximbank had earlier, signed a $272 million loan agreement with Heritage Bank, providing funds to facilitate the acquisition of Enterprise Bank from the Assets Management Corporation of Nigeria. The fund represented 80 per cent of Heritage Bank’s $344 million winning bid for Enterprise Bank. 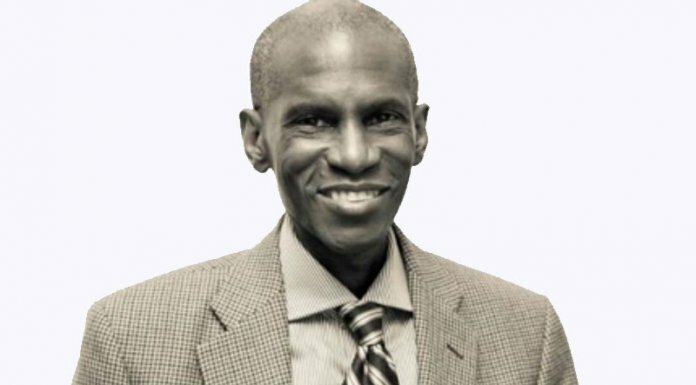 The then President of Afreximbank, Jean-Louis Ekra, described the transaction as one that would bring value to the Nigerian government and to the country’s banking sector. “It will also advance Afreximbank’s strategic goal of empowering Africans to participate in the continents’ strategic sectors and provide the bank with a platform for expanding the financing of SMEs in supply chains in Nigeria. With just three years in operations, the bank’s its balance sheet has grown to over N600 billion and 165 branches across 34 states of the federation and the bank said it is working towards joining the league of systemically important banks in the country. The bank’s gross earnings reached N24.2 billion for the operating year ended December 31, 2015, as contained in its audited financial statement, representing its first full operating year since the acquisition of Enterprise Bank. It also recorded a profit before tax of N1.5 billion, profit after tax of N1.1 billion and net interest income of N12.2 billion, while attracting N312 billion as deposits from customers during the year- an indication of confidence. 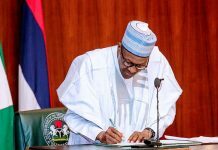 Besides, the lender supported businesses and individuals with N175 billion as loans and advances, achieving a total asset of N483.4 billion for the year. The Managing Director/Chief Executive Officer, Ifie Sekibo, said the result was a testimony to the increased acceptability of bank’s products and services by the banking public. “In the 2016 operating year, our desire to reciprocate the patronage of our customers and goodwill from stakeholders has prompted us to introduce new and bespoke services driven by cutting edge technology designed to empower businesses and individuals with opportunities to achieve economic prosperity. Its Executive Director, Services Bank, Niyi Adeseun, said “we have given ourselves a five-year target and we have achieved a massive part of it in three years, if not for this economic slowdown we would have been closer, if not there now. “It’s been our plan since the day we started this business. We are not planning to grow alone, but we are bringing SMEs that we have helped to grow over the years. Our objective is to produce more Dangotes in the nearest future,” he said. Speaking on how banks can navigate the current economic crisis, he said: “We need to protect capital, liquidity and ensure that even if you cannot predict where revenue will come from we need to manage cost. This is not the time to have bad loans, some are bad already, but the fact is that we must develop entrepreneurs to support our operations and the economy”. Already, investors have described the bank as one of the nation’s healthiest and fastest growing banks, with a target of becoming an industry leader in the near future. The bank had commenced one of its intervention programmes in collaboration with the Central Bank of Nigeria (CBN), tagged “Youth Innovative Entrepreneurship Development Programme (YIEDP)” with funding capital of N3 billion. The selection of Heritage Bank as pilot partner for the programme was in recognition of its commitment to supporting Micro Small and Medium Enterprises (MSMEs). 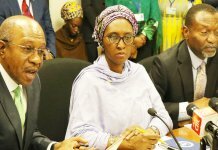 Emerging as lone partner at the pilot stage, CBN said the programme was designed to provide timely and affordable credit to assist youths in implementing their business ideas, thereby providing the mechanism of stimulating growth, reducing unemployment, as well as addressing youth restiveness. The target sectors are agricultural Value Chain (fish farming, poultry, snail farming); Cottage Industry, Mining and Solid Minerals; Creative Industry (Tourism, Arts and Crafts); and Information and Communications Technology (ICT). With over 4,000 business applications received within the first two months, as the first phase, the bank has successfully shortlisted 1,547 business applications to proceed to the second phase. 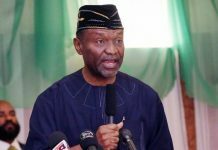 “At second phase, CBN’s Enterprise Development Centres (EDCs) across the six geo-political zones will conduct a three-day business development training workshop for the shortlisted youths. After the training workshop, the youths will be required to write a comprehensive and viable business plan in order to access the YIEDP funding. “At phase III, all business plans will be submitted on the application portal for the Business Review Committee to screen, review and select the eligible and viable business for YIEDP funding,” the bank said. Additionally, the bank in partnership with the Centre for Values in Leadership (CVL) empowered 100 aspiring start-up entrepreneurs under the Young Entrepreneurship Business Training Programme (YEBTP). The six months intensive course involving grooming, mentoring and financing include a three-month intensive capacity building training programme in the areas of keeping accounting records, financial discipline, sales and marketing in order to equip them with the knowledge base needed to succeed as entrepreneurs. Also, the entrepreneurs underwent a month’s hands-on internship/mentoring experience with the business mentors to understand and be acquainted with the technical skills needed for each specific business line under existing and experienced business owners. Heritage Bank and the Bank of Industry (BoI) also achieved a feat in wealth creation and the curbing of unemployment among the youth and boosting entrepreneurship, as they financed Live Well Bia Foods Outlet in Surulere, Lagos. According to Sekibo, who was represented by Oyetunde, the documentation and financing of this project was concluded, with due diligence within six weeks which is a big feat. The Acting Managing Director, BoI, Waheed Olagunju, said that improved investment will activate a quick recovery of the country’s economy that has been in a state of decline. “BoI will continue to support youth with innovative projects like this venture because he has not just created a job for himself but for many others in the value chain,” he said. The Programme Manager of CVL, James Ebube, implored the entrepreneurs to put to judicious use the tools provided for them and commended the bank for the tremendous role it played and support given in achieving this feat.